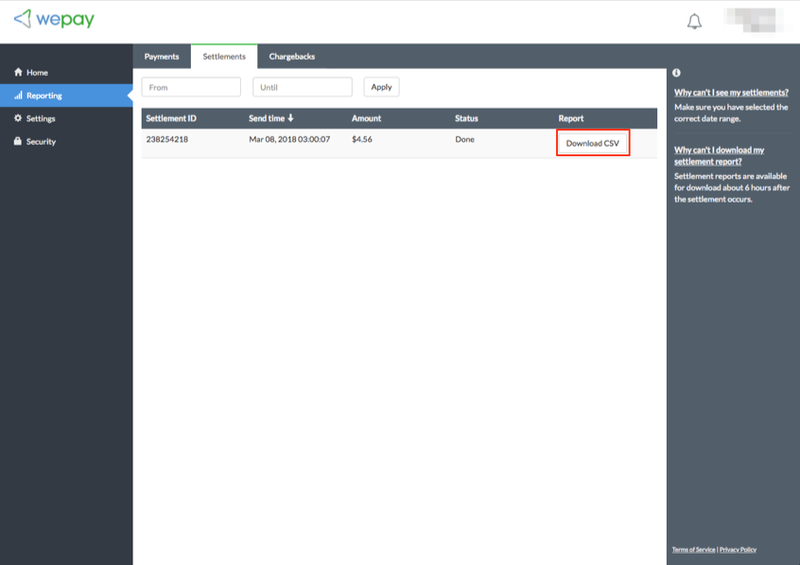 Under the Payments tab you can see all payments that have been made through WePay via SWRemote. You can set a date range using the date picker to narrow down your search. 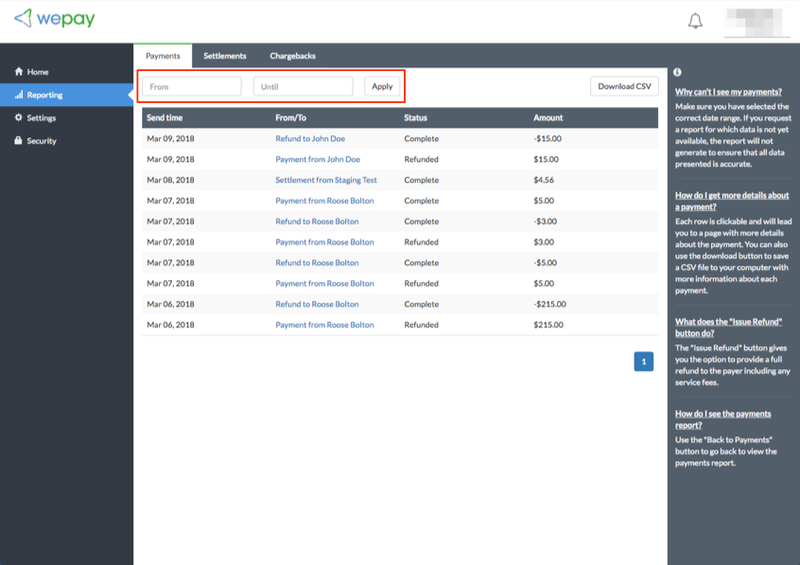 Under the Settlements tab you'll be able to see all of the settled payments from WePay to you. These will be groups of payments lumped in to single Settlements. You can download each settlement, and you'll be able to see each transaction that is part of that specific Settlement. 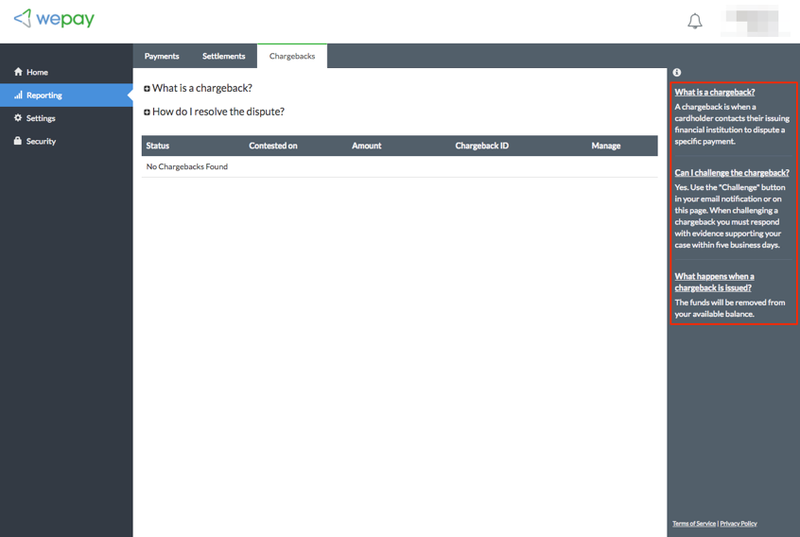 Under the Chargebacks tab you'll be able to see any transactions that a customer has disputed. For more information on Chargebacks, you can click the links on the right-hand side of the window.